An historic opportunity to improve infrastructure on the cheap is in danger of being squandered. This crumbling infrastructure is both dangerous and expensive: traffic jams on urban highways cost America over $100 billion in wasted time and fuel each year; congestion at airports costs $22 billion and another $150 billion is lost to power outages. The B20, the business arm of the G20, a club of big economies, estimates that the global backlog of spending needed to bring infrastructure up to scratch will reach $15 trillion to $20 trillion by 2030. McKinsey, a consultancy, reckons that in 2007 to 2012 investment in infrastructure in rich countries was about 2.5% of GDP a year when it should have been 3.5%. If anything, the problem is becoming more acute as some governments whose finances have been racked by the crisis cut back. In 2013 in the euro zone, general government investment — of which infrastructure constitutes a large part — was around 15% below its pre-crisis peak of €3 trillion ($4 trillion), according to the European Commission, with drops as high as 25% in Italy, 39% in Ireland, and 64% in Greece. In the same year government spending on infrastructure in America, at 1.7% of GDP, was at a 20-year low. This is a missed opportunity. Over the past six years, the cost of repairing old infrastructure or building new projects has been much cheaper than normal, thanks both to rock-bottom interest rates and ample spare capacity in the construction industry. Simon Rawlinson of Arcadis, an infrastructure consultancy, reckons building costs in Britain, for example, were 20% lower in the aftermath of the financial crisis. The market upheaval of recent weeks may delay the first post-crisis interest-rate rise in America by a few months, but construction costs have been rising in America and Britain, among other places, as their economies have strengthened and unemployment has fallen. Investment in infrastructure can provide a tremendous boost to an economy. The most striking examples are in emerging markets: paving roads has helped double school attendance by girls in Morocco; improved sanitation has helped reduce child mortality in India by over 50%. But the impact in rich countries is also great. Standard & Poor’s, a rating agency, reckons that the activity spurred by increasing government spending on infrastructure by 1% of GDP would leave the economy 1.7% bigger after three years in America, 2.5% bigger in Britain, and 1.4% in the euro zone. In 2012, for example, Ontario Teachers’ Pension Plan and Hastings, a fund manager, bought a 50-year lease on a recently completed desalination plant near Sydney from the government of New South Wales. But many other governments have failed to follow suit. The so-called “Juncker Plan,” which is supposed to mobilize €315 billion of mostly private investment in infrastructure in Europe, was announced with great fanfare last November; the website listing possible projects has yet to be launched. Planning constraints play their part: it takes four years just to get the permits for the average European power project, according to McKinsey. Crossrail, a new train line running under London, was first mooted in 1974 but is not due to be completed until 2018. Despite the risk of white elephants such as Ciudad Real Central Airport in Spain, which closed only a few years after opening, politicians still tend to prioritize eye-catching schemes over duller but more practical ones. America’s post-crisis stimulus package dedicated $8 billion to high-speed rail, but only $1.5 billion to small, worthwhile projects nominated by state governments. Yet none of this should impede spending on maintenance, for which there is also a huge backlog. Mending leaking pipes, filling potholes, and painting bridges is unlikely to lead to a popular uprising. 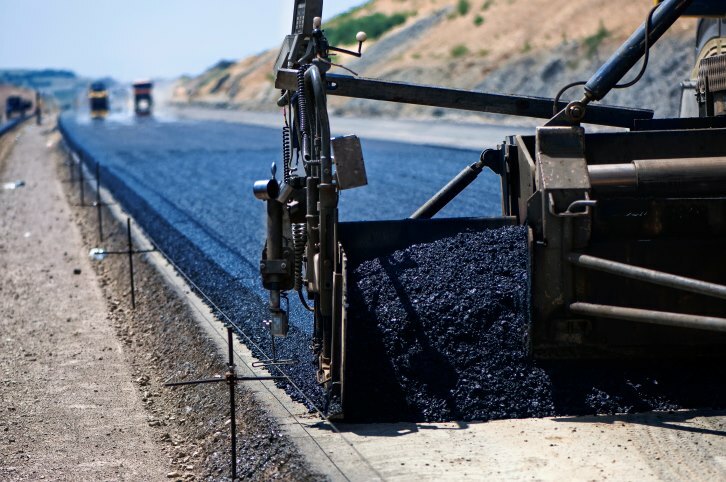 There is also lots of scope for modernization without undue disruption: adding a layer of plastic on top of an asphalt road can increase its lifespan by a third. Investments in technology can make better use of existing infrastructure without adding a brick. New digital monitoring systems, for example, have increased the capacity of Frankfurt Airport from 150,000 passengers a day to 200,000, by providing advance warning of impending bottlenecks. Such repairs and improvements typically yield higher returns than more grandiose projects. They are also much quicker to initiate. Western politicians searching for a way to pep up growth in light of the current uncertainty about the health of the world economy need look no further. We’re spending $4 TRILLION a year? Where’s it going?